Interest Journals- Write about your interests. Interest journals are a neat way for students to share their writing with others for years to come. How does it work, you ask? Well, interest journals are simple to set up, yet provide a neat audience and it allows you to shake up your writing sparks (journal writing) time. 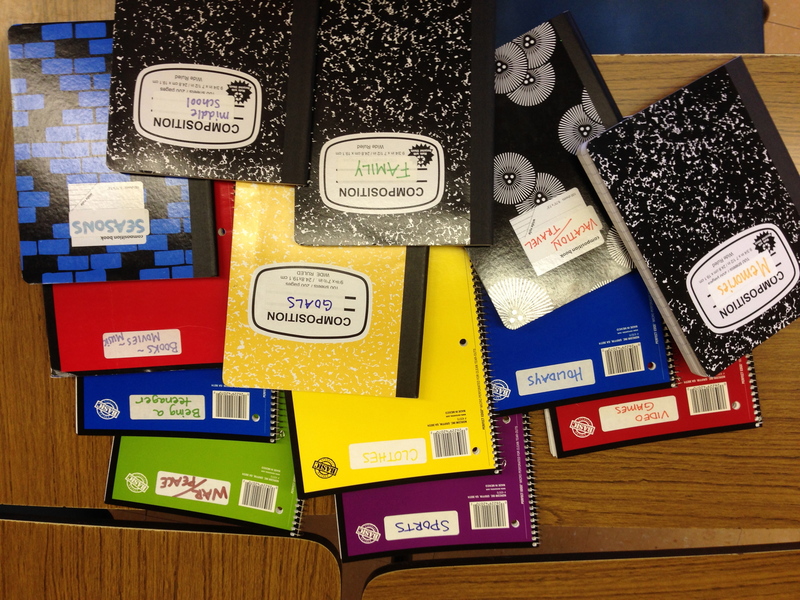 Here’s how I set them up: I got about 35 journals when they were on sale at the beginning of the year. I always like to have a few more than students I have. I label each journal with a broad topic. When the students come in, the journals are spread out all over the room. I review the topics with them and then have them go and find the journal they are interested in. When they sit down to write, they can review all the other entries on that topic by students whom I’ve had in the past, and by some of their classmates from interest journals we’ve done this year. I give the students a few minutes to browse the other entries and then I have them start writing. When they are done, I make sure that they date and write their name at the end of the post. I like to do interest journals every few weeks, when I feel like we need something fresh. Some of the topics I have used that my students have loved: shoes, life, being a teenage, books/movies/music, war/peace, shoes, I hate, I love, vacation/travel, video games, colors, family, sports, holidays, memories, middle school, seasons, goals- the possibilities are endless! 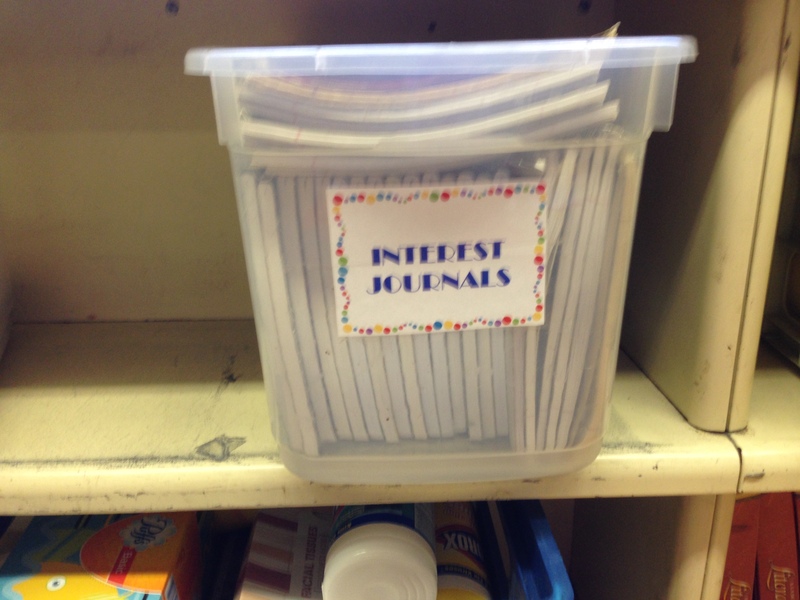 I store the interest journals in a simple clear rubbermaid tub next to the other tubs with their student’s individual journals. Try interest journals out, and let me know how they go! The Perfect Poem to Close Read! 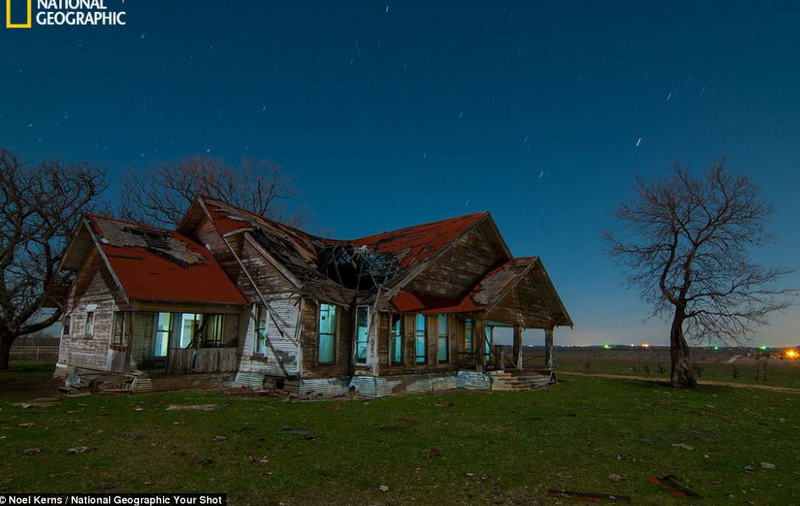 We did a close reading of the poem, Abandoned Farmhouse by Ted Kooser last week. I read the poem aloud, then had the students read it again individually and then hold their thinking and note their observations, thoughts, questions etc..
Then we brok the poem down and looked at the tone of the poem. We found words that stuck out to us that showed the tone (broken, something went wrong,money scarce, winters cold). I had the students wrote the mood down and then find specific lines that supported the mood. We noted how each stanza talked about a different person: a man, woman and child. I had the students go back to the poem and find out specific things we knew about the people in the poem, and list them (the man was tall, the woman liked lilacs, the child played with a tractor etc..). We looked at repetition, figurative language and we discussed specific word choices that the author made. Although we did a close reading of this poem, the students really did a nice job. They noticed a lot of really interesting things. I liked this poem because we could discuss all of the things I mentioned above and the students were able to understand the poem. They didn’t feel like the content, topic or language was above their heads. It was a manageable length to close read, and It didn’t scare them. After we read the poem I had my students write a journal prompt about a place where they live, or have things. What would their room, house, or objects say about them. I also showed them this image. I felt this image really went well with the poem. They shared their writing and we all enjoyed a close reading and a writing session. At the beginning of the year, I always want my students to make a list of of writing territories (ideas that they can keep in their writing notebook for when they are stuck and have nothing to write about). I will have them store this in their writing folders so that they can pull it out when they don’t know what to write about. How do you have your students share writing territories? Why Do Mosquitoes Buzz in People’s Ears? is a clever West African Tale on cause and effect and inference. It is also a good book to look at taking responsibility for your actions. There is so much to discuss. –Have the mosquitoes go in front of the council and try to explain his actions. What do you think he would say? –Throughout the story, one animal blamed another animal for their actions. Do you think this was right? What should each animal have said? Do you think that only the mosquito was to blame? Why or why not? –What is the moral of the story? –How does one misunderstanding become a big problem? –What do you learn about the lion from the way he handled the problem? –Have you and a friend ever had a misunderstanding? What happened? Emotion Poems~Bring out the Emotions! Today during writing workshop, I gave my students some sparks and they ran with it…. We brainstormed what courage is and made a list as a class. Then we read, Courage by Bernard Waber. It is a really great book that asks the question- what is courage? This book shows the everyday kinds of courage that normal, ordinary people exhibit all the time, like “being the first to make up after an argument,” or “going to bed without a nightlight.” This books explores the many varied kinds of courage and celebrates the moments, big and small, that bring out the hero in each of us. I then showed them the poem “Fear” by Raymond Carver. This is a catalog- list type poem. We looked at the poem and discussed it. The students loved pulling out their favorite lines, and discussing lines that they would change. We had an interesting conversation on the last three lines. I then showed the students the Plutchik’s Wheel of Emotion and we went through the various emotions besides the common love, fear, hate, joy etc…. I then have the students share their examples of good writing with each other. 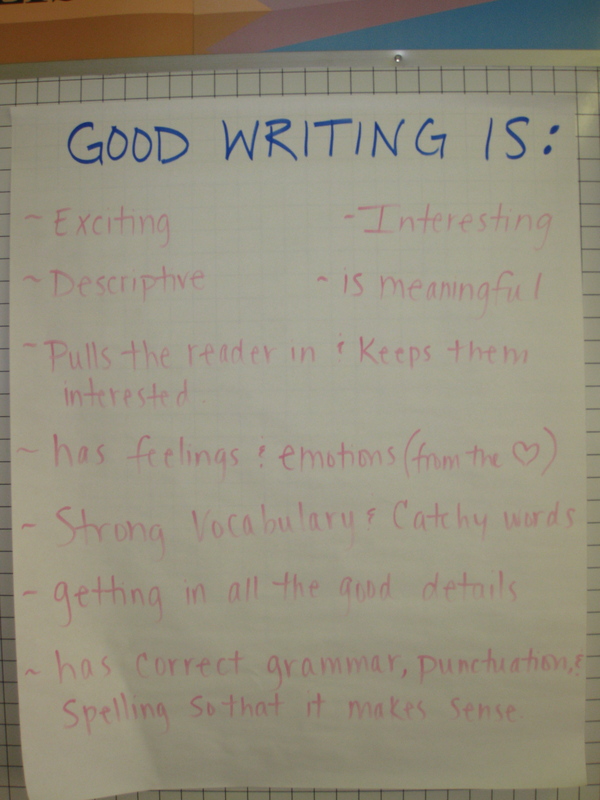 I come back to this lesson and we look at what we feel are good writing samples throughout the year. I find it helps the students to appreciate writing when they read, and I find that they write content with more meaning. I am always reminding them of what we agreed on was good writing, and encourage them to use these ideas in their own writing.